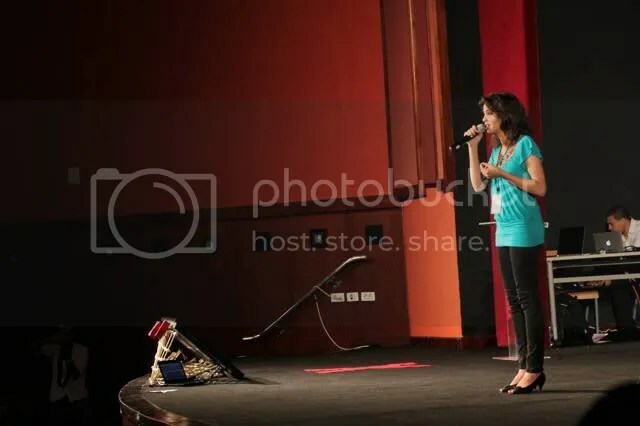 This is the second part of my four-part review of TEDxCairo 2011 talks. If you haven’t read part 1, read it here. 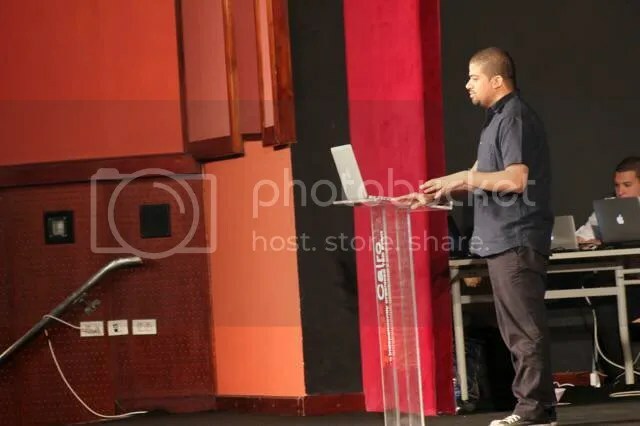 The first talk of the second session was by movie writer and director Ahmed Abdalla, famous for his two award-winning independent movies Heliopolis and Microphone. Ahmed talked about censorship and how the Egyptian society reacts towards (the lack of?) it. He mentioned that getting a clear identity of who we are as a nation will help in deciding on the society’s relationship with press freedom, interfaith marriage, authority and gender equality. Ahmed and all of the other speakers should have been informed with this rule; or else the TEDxCairo team could get their license revoked. Verdict: Half a Kiss: Good. Next was founder and chairman of Resala NGO Dr. Sherif Abdelazeem. He began by criticizing what he called the “wana maalyah” (it’s not my business) attitude whenever we (Egyptians) see something wrong but not personally affecting us. His talk was focused on promoting volunteerism in Egypt, mentioning that it is the habit of highly developed nations to dedicate part of their time to voluntary work, and that showing your love for your country should not be done only in football stadiums. “Volunteerism” was another great talk at TEDxCairo. The stories Dr. Sherif mentioned of their activities at Resala were both touching and inspiring. 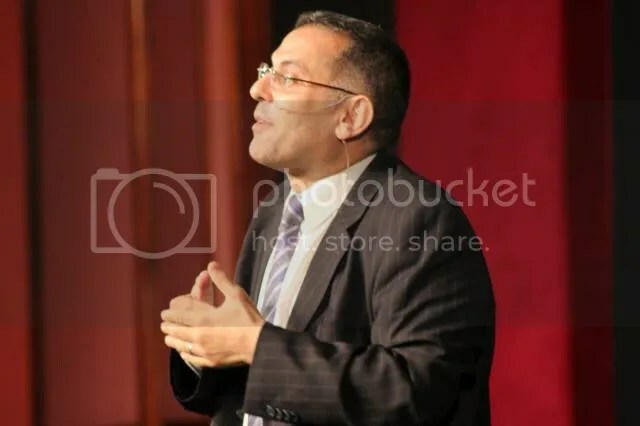 The only thing wrong about it was that it was difficult to keep up with the talk as Dr. Sherif was talking too fast at some points of the talk. Haytham ElFadeel: What If Machines Think? Haytham, founder and CEO of the amazing semantic search engine Kngine, raised the issue of computers’ (lack of) intelligence, and how, unlike any other science, advances in computer science cause advances in other sciences. He then went on to express his love for artificial intelligence and how his belief that “smarter” machines will improve our quality of life lead him to create Kngine, a search engine described by TechCrunch as a “direct assault on Google“, one that has achieved great success despite its relatively small budget, and a project that is 100% Egyptian! Haytham’s talk was one I was really looking for. He wowed the audience with the demonstration of Kngine’s semantic searching capabilities. He spoke easily, confidently, and enthusiastically. Haytham should have mentioned though the differences between Kngine and Wolfram Alpha, as I overheard some people in attendance saying that it does the same that Wolfram Alpha does. 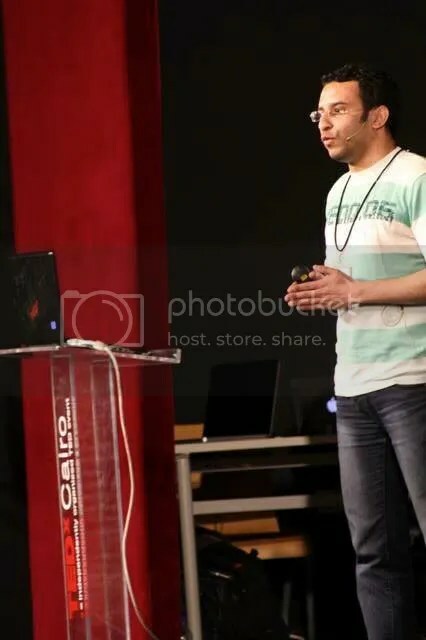 Haytham also kept going back and forth between the middle of the stage and the laptop to change the slides of his presentation instead of using the clicker, which was a bit distracting- maybe the clicker was malfunctioning, but if so he should not have held it during his talk! Verdict: What If Machines Think? : Good. The first performance of the day was by the award winning (and relatively young) opera singer Fatma Said. She performed her operatic Jan 25 revolution song “Youm Mal Sha3b Et3’ayar” (The Day When the People Changed). Words cannot really describe the song or her voice. Her performance was the only one that got a standing ovation. If you haven’t heard this song before, do it now! This is definitely one artist that I would love to hear more of. Verdict: The Day When the People Changed: Outstanding! Yasmine Said is a Biology scientist from Oklahoma Panhandle State University, USA. She worked at an elderly psychiatric disease unit at a hospital in Kansas where she developed an interest in Alzheimer disease. Yasmine’s talk was a thorough description of Alzheimer’s symptoms, mentioning that it is dubbed “The Disease of the Century”, and that because of the difficulty of handling an Alzheimer patient, such patients are often neglected and “forgotten” by their close ones. The talk was very informative AND touching, very close to what you expect from a TEDTalk. 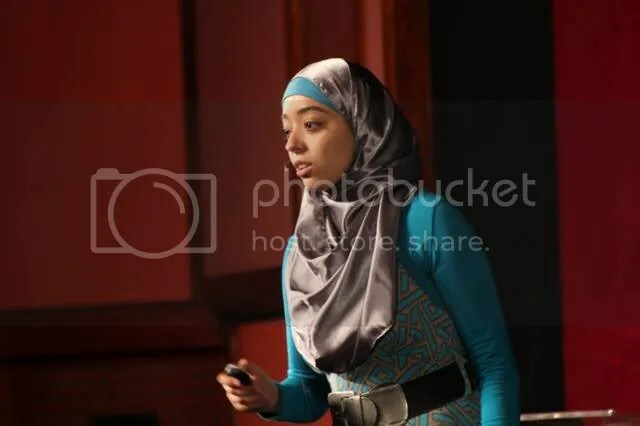 However, the talk lacked a crisp clear message; Yasmine did not explicitly say something like “Don’t forget your Alzheimer patients” or made the talk relevant by mentioning stats about the state of Alzheimer patients in Egypt, and personally Yasmine came out a bit too cold to me. Nevertheless, the talk shed a much needed light on a dangerous disease that people barely know anything about. Verdict: Forgetful and Forgotten: Good. The last talk of the second session was by Essam Youssef; author of the bestseller “1/4 Gram”, a book described as “an honest insider’s account on Egypt’s drug world”. Essam is also conducting a drugs awareness campaign in which he had visited over 30 schools and universities and met over 2000 students. He talked about the stages of drug addiction as well as some stats related to drugs in Egypt. 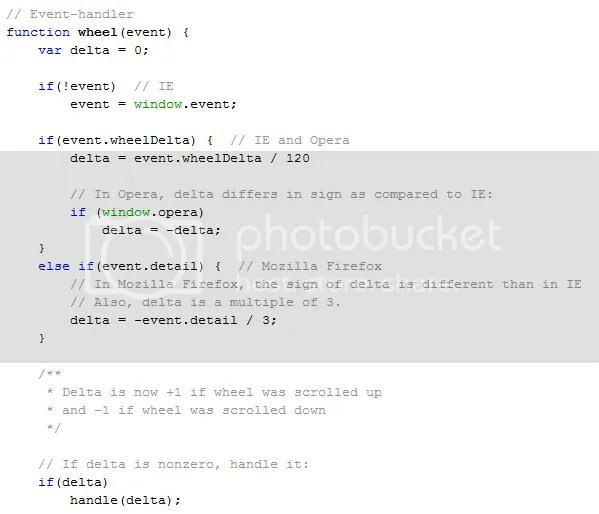 This talk could have been outstanding, but it was NOT. 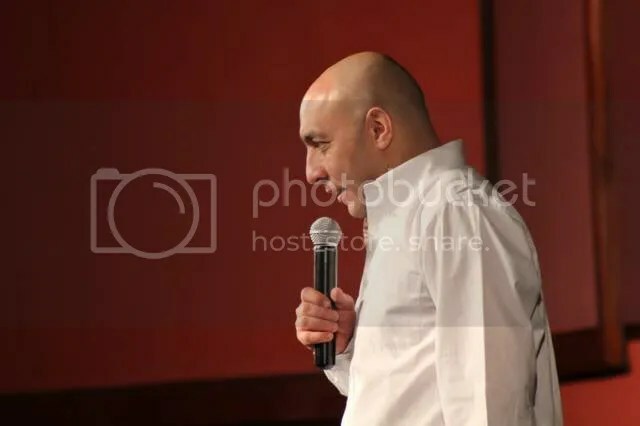 Essam’s attempt at breaking the ice at the beginning- “jokingly” saying that he will not abide by the topic he agreed on with the organizers nor the 18-minute time limit- his attitude during the talk, and his final remark “If I made it to heaven, I would ask God for 2 cms (a drug shot)” felt unprofessional and put me off the whole thing. This talk will NOT be featured on the TEDTalks web page, even though its content could have got it there. Verdict: “1/4 Gram” Message: Bad. The star of the second session was definitely Fatma Said, her outstanding performance got everyone talking. Kngine’s impressive search results also got people very interested in it. Thanks for reading. Stay tuned for part 3!